Better than expected! Don't be put off by 1 star reviews! 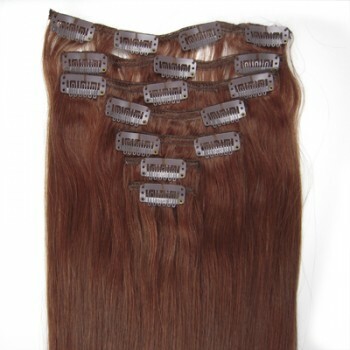 I had been looking for hair extensions that matched my current hair color or that was at least close enough that I could dye my hair and the extensions so they match. 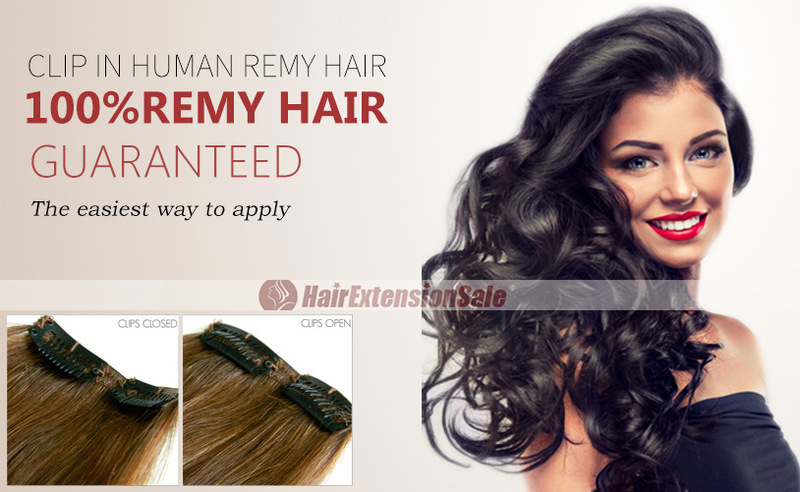 I was looking online at Sallys and found the Remy Human hair for 120.00!! ouch! So out of curiosity searched for this brand on Amazon and found these hair extensions for only 30.00...I was a little apprehensive and my first thought was...&#34;whats wrong with them? 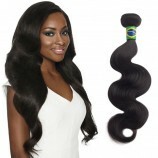 ?&#34;I started to read the reviews starting with the &#34;1 star reviews&#34; and the biggest complaint is that they were too thin or not enough hair...well as I did more research on the Remy hair extensions, I came to find that there is actually a disclaimer to the buyer that these particular hair extensions are thin...I Googled how many grams of hair I would need to buy to get that overall thick looking hair and found that the suggested amount is 100 gm to 150 gm of hair.Unfortunately, these extensions only range from 70 to 80 gm of hair, but I figured that I would buy one pack and see exactly how much hair 80gm is before buying more. I placed my order on Aug 12, 2013 and got them in the mail on Aug. 17, 2013 and to my surprise, was extremely happy when I pulled them out of the package. 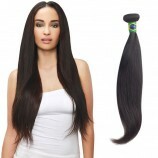 The hair did look real and it is very soft; however, 80 gm of hair is somewhat thin. My current hair is shoulder length and there wasn't enough extensions to blend in my natural hair with the extensions, but I am so pleased with the way these look that I just purchased a second set to add some thickness.I would recommend at least buying two sets for thickness as it would give you 140-160 gm of hair to blend in your natural hair and your extensions. don't be put off with the 1 star reviews, as the buyers obviously didn't do their research before purchasing. Even buying two sets of these extensions is way cheaper than paying for the ones at Sallys and if the color is lightly off from your normal hair color you can dye them. :) I hope this helps! I have bought from them twice already, and my friend has also! The shipping is fast, and the customer service is amazing. I had an issue and they were very quick getting back with me (the issue was my end not theirs) I would suggest buying them over the ones you get on a salon. They are a lot cheaper and just as good!!! For the price? Pretty good. I would recommend this product to persons new to using clip in hair extensions.Hair is smooth,lovely, has several clips so secure to real hair and will blend with your own hair seamlessly with appropriate blending, trimming, or whichever method yourself or your stylist feels helps to blend this full head silky straight smooth clip in extension with your own hair.Delivery and customer service was both impeccable and helpful.I would highly recommend this vendor for future purchases and products. Great color. A lot of hair. Tons of fun! Purchased the dark blue/light blue and darkpink/light pink. It is a lot of product! I don't think I can wear 2 at a time because it is a little heavier than my regular clip ins (If you are tender headed, dont wear for a long time, it will make you sore). 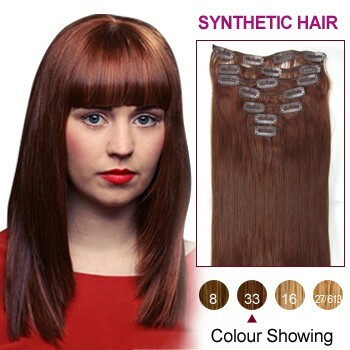 It's great, a little shiny (it is synthetic hair... Nothing that a bit of baby powder can't fix) it stretches out from ear to ear, so I wear mine that way. Had to cut off about 3 inches (it is 14&#34; long). Colors are beautifully bright! I love it! It's fun and everyone loves it as well. 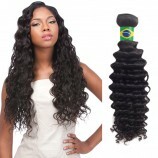 I colored my natural hair blue black and I do have 16&#34; black extensions as a fill in... Blends well with the contrast. Try it out and if not, you could always cut it up into individual pieces and wear them as highlights! Have fun and enjoy!